List And Banking More Profits On Autopilot..."
​WHAT DO I GET INCLUDED? 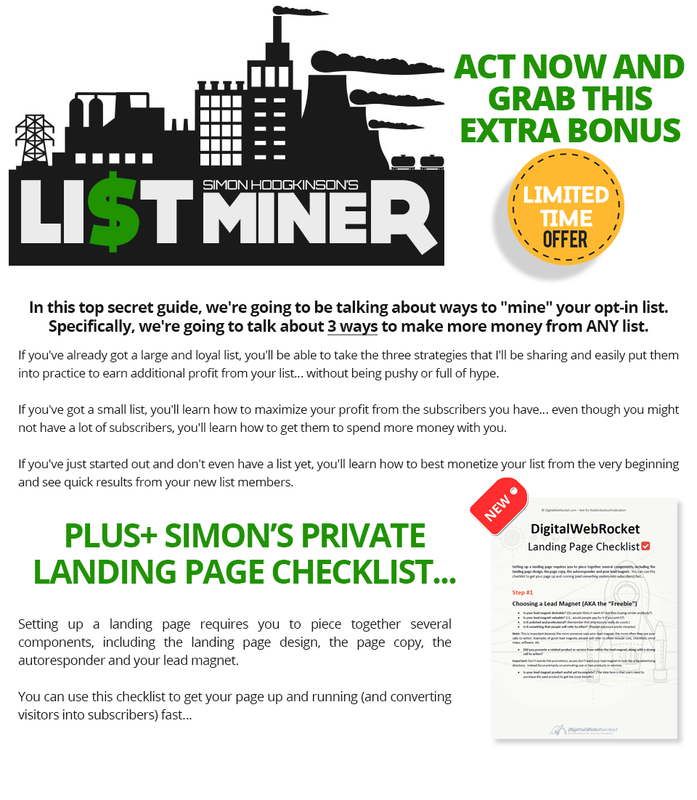 Every month you'll get two new lead magnet kits that include all of the following: A 10-30 page exclusive (marketing / web business / social media related ) report, a ready made landing page and a professionally written 7 part autoresponder follow up series + Back Catalog Access With 200+ Ready To Go Packages. CAN I SAY I WROTE THESE MYSELF? Yes! Through your membership you get full private label editorial rights so you can add yourself as the author, edit, add to, rename - whatever you need. ARE THESE ORIGINAL CONTENT? Yes, all packages are created by our own in-house team, and they aren't available anywhere else online. Some 'done for you', copycat sites give their members rehashed or non-exclusive material - not Automated List Profits, everything is 100% unique - you can be assured of quality. We think this is without doubt the best solution on the market for busy marketers and we think you'll agree once you try it out. That's why we're backing this offer with a 100% money-back guarantee. Get 30 days to use your membership to see if this is right for you. If you don't agree with us that this is the best way to grow your list and boost your regular affiliate promotions and sales, then we'll rush you a no questions refund. Automated List Profits benefits people in different ways... For some it's the time saving (to research and write all this content yourself each month would take around 7-10 full days), for others it's the cost savings because even at low outsourcing rates you be forced to pay over a thousand dollars each month for anything similar. But the best reason of all is that it gives you more free time to do other things in your business that adds value you'd otherwise be missing out on.